Mary Oliver is one of America’s best-loved poets. Her luminous poetry celebrates nature and beauty, love and the spirit, silence and wonder, extending the visionary American tradition of Whitman, Emerson, Frost, and Emily Dickinson. The winner of the Pulitzer Prize and the National Book Award, she has lived for many years in Provincetown, Massachusetts. Her extraordinary poetry is nourished by her intimate knowledge and minute daily observation of the New England coast, its woods and ponds, its birds and animals, plants and trees. 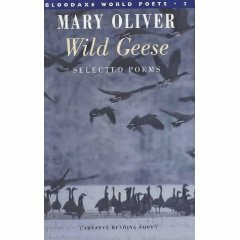 Mary Oliver is hugely popular in the States, where her many collections have sold hundreds of thousands of copies, but Wild Geese is her first book to be published in Britain for over 40 years.